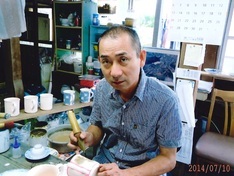 I use the wheel to shape my works and then add colors using washi (traditional Japanese paper). 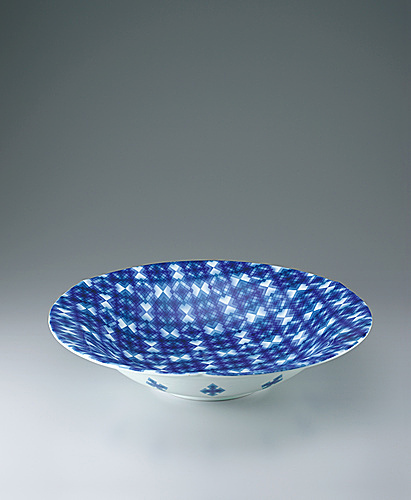 Bowl with check design in washizome. 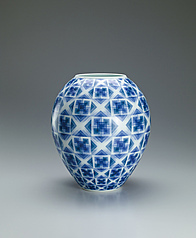 Jar with check design in washizome. 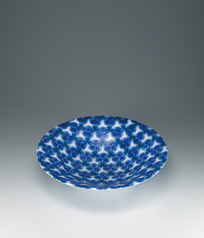 Bowl with flower design in washizome. 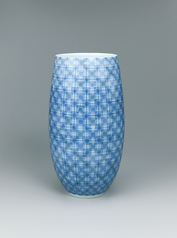 Flower vessel with lattice design in washizome. 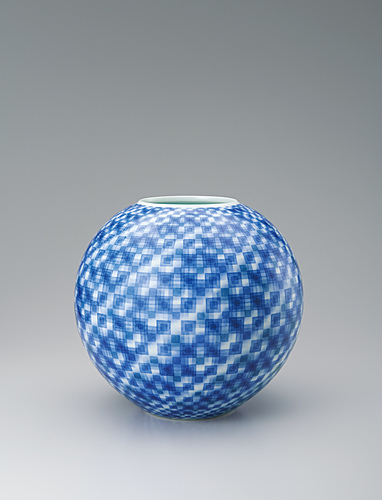 Submitted to the Saga Contemporary Ceramics Exhibition at the British Museum, UK. 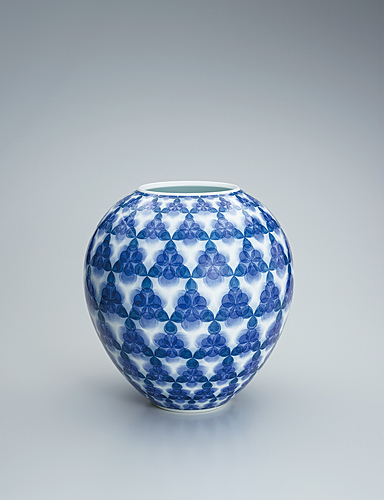 The exhibited work was later donated to the museum.